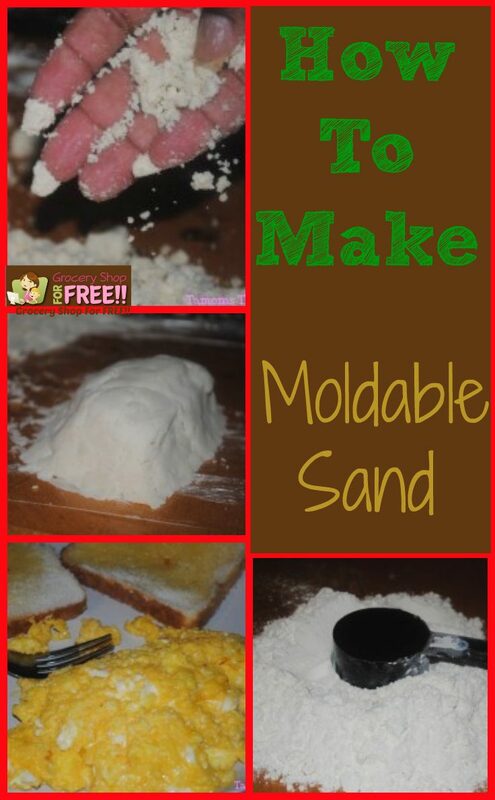 How To Make Moldable Sand! You are here: Home / DIY / How To Make Moldable Sand! 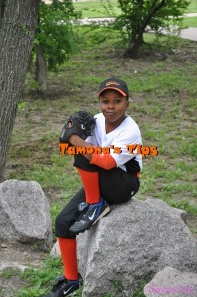 Today T’s tip is brought to you by TD #4! 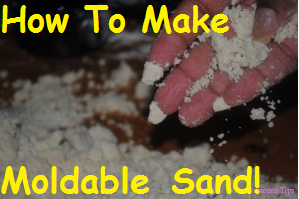 How To Make Moldable Sand! If you ever wonder who put that on the floor, look no further than Tax Deduction #4! Since summer is around the corner, you will want something to keep your tax deductions busy. One project we find to be a keeper is making mold-able sand. You have seen commercials for moon sand and I am sure you have heard your children ask you to buy it. I am pretty cheap and I am a huge fan of fun on a budget. Tax Deduction #4 is always asking for things he sees on television. This is one of his favorite fun on a budget projects. It is truly easy to make but due to the fact that baby oil is extremely dangerous, I would not suggest making this for a child who puts fingers and other items in their mouths. 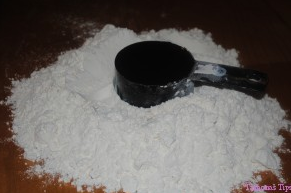 Let’s begin: Pour 5 cups of flour into a container. I chose to cover a small table with plastic wrap and work directly on the surface. 2. 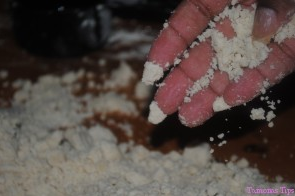 Slowly add 1 cup of baby oil to the flour. 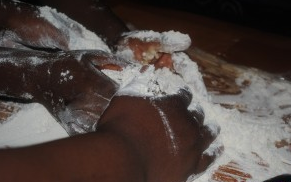 Get the children involved in this project by asking them to work the baby oil into the flour while you slowly pour. 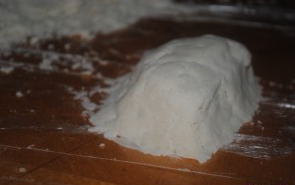 When you are done you will notice the consistency to be much like a mold-able sand. 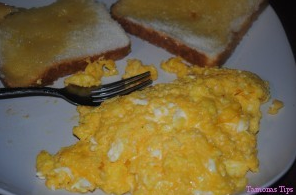 The consistency is crumbly yet clean. The children will love it. 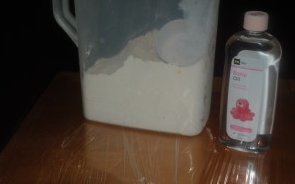 You can add food coloring to the baby oil to make a more colorful variation of sand. This light tanned color works for my son today because he has an Egyptian project that involves him making a burial room. The start of a table within the burial room that will hold jars of organs! Not every child is into ways to play from television, some prefer something from the culinary field (TD #3)!